In August, there was a lot of talk about a follow-up device to the LG Revolution after we first reported that one had landed on a Verizon MAP list as LG-VS920, prompting us to quickly dub it the Revolution 2. Our sources have actually played with the device in its early stages, claiming that it has a 4.5″ HD screen, LTE and is incredibly thin. After seeing it pass through the FCC though, we started to wonder if the device was closer to a launch than we had all imagined. Well, after you take a look at the device pictured above and listen to the specs, you might also think that we are really close. The LG LU6200 has made a couple of appearances over the last few days sporting that same 4.5″ IPS LCD HD screen, LTE, 1.5GHz dual-core processor, dual-cameras, and 1GB of RAM. It’s said to be available in Korea some time in October, but after seeing what we believe to be a similar device already hit up the FCC here in the states, I wouldn’t put it past LG or Big Red to pump this beast out by the holidays. The device is also said to be running Android 2.3.5 out of the box with a guarantee that it will see Ice Cream Sandwich shortly after. 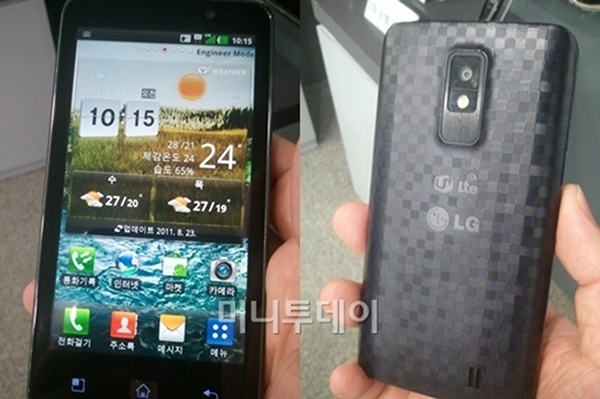 While I have never been the biggest LG phone fan, I can even admit that this phone made my heart flutter slightly. 4.5″ IPS LCD? Hello beautiful.